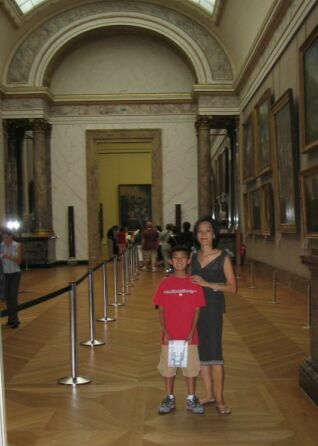 The Louvre museum houses more than 6 000 European paintings dating from the end of the 18th century to the mid 19th century, in a wide variety of genres and formats, from miniatures to monumental canvases. 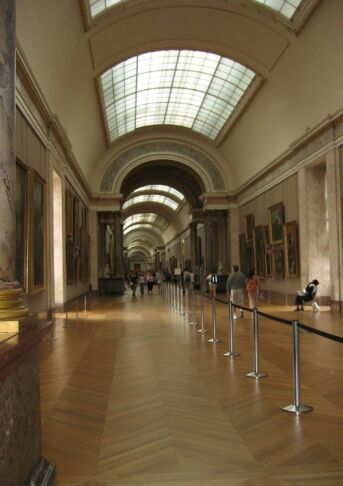 The Louvre museum has custody of approximately 6,000 European paintings, completed between the end of the 8th century and the middle of the 19th century. 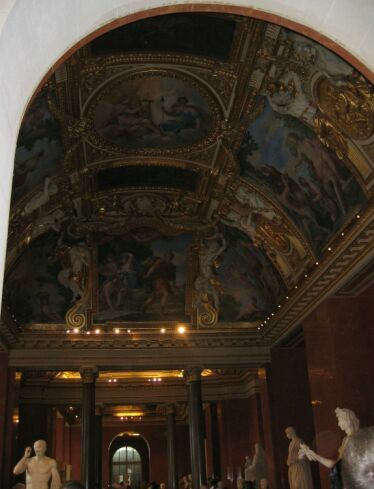 As the conservatory of French painting, the Louvre also aims to reflect all the artistic cultures of Europe. When the Musée d'Orsay was created in 1986, most of the post 1848 works left the Louvre and went to join the Impressionists in this new establishment. 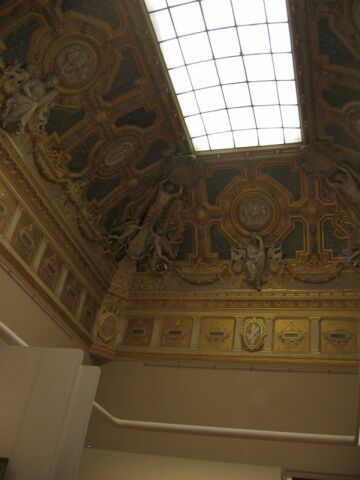 Since then, the collections in the Louvre have been reorganized on the 2nd floor around the Cour Carrée, Sully Wing (French paintings), and in Richelieu Wing (Northern and French schools) and Denon Wing (Italian and Spanish paintings). It was the Sino-American architect I. Ming Pei who took over the first major part of the modernization concept for the museum. 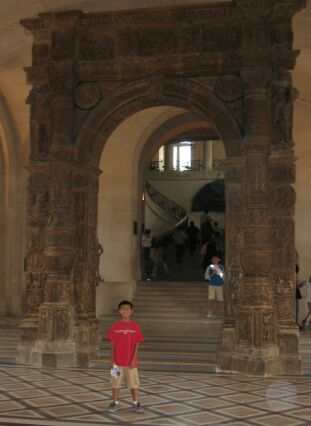 His project, which involved the construction of a huge pyramid in the center of the cour Napoléon, was exhibited at the palais de l'Elysée in 1983, where it caused considerable controversy right from the outset. A life size simulation was planned and executed in 1985, when the project was given final approval. 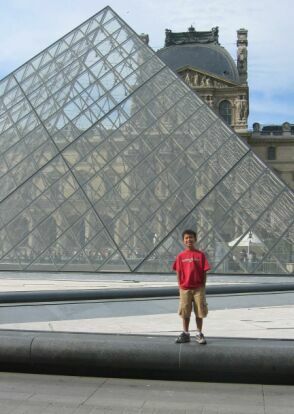 I personally like the pyramid, it is an interesting contrast between the old architecture and a touch of modern art. Not sure what this is.... but it is a huge beautiful piece of art probably dated before Christ. Victory of Samothrace-190 B.C.- Marble and Limestone. 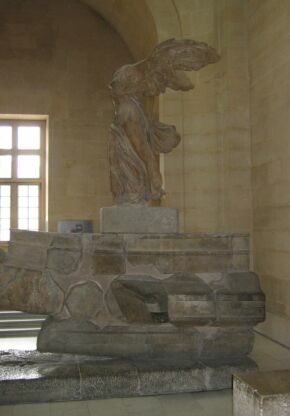 In 1863 the French consul at Adrianople, Charles Champoiseau, who was also an archaeologist, personally found the statue scattered over a lonely hillside on the island of Samothrace. It was without head and broken into 118 fragments. 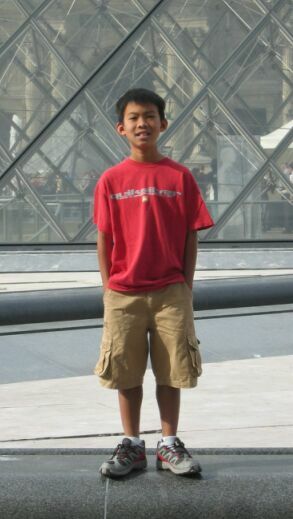 The pieces were put together at le Louvre. Beautiful ceiling with intricate detailed. 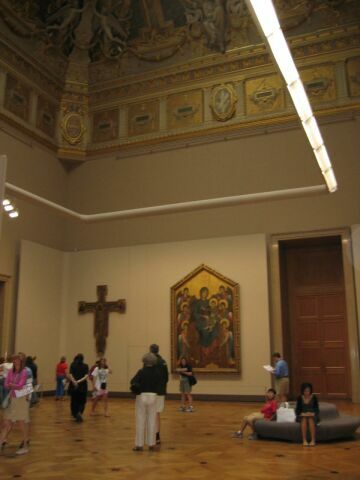 In the back ground you can see a painting by Giavanni Cimabue "THE MADONNA AND ANGELS" on a background of plain gold. The Virgin, larger than life, is seated on a throne, turned slightly to the right, holding the Child on her knees, whose hand is raised in benediction. On each side are symmetrically ranged three angels, whose robes and wings are of many colors. 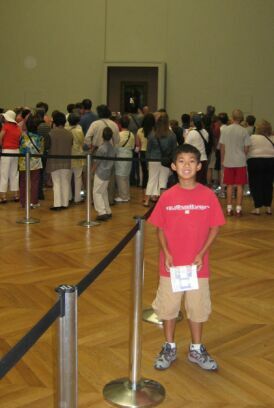 We are in the Denon Wing where the Italian and Spanish paintings are. 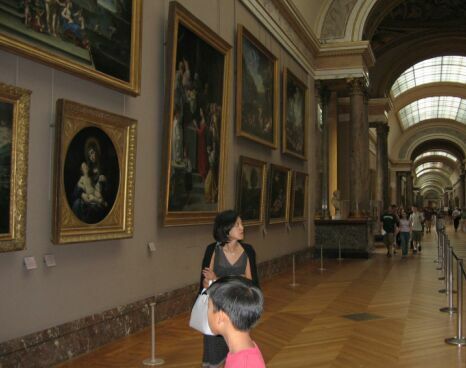 Did you know that On August 21st, 1911, someone stole the most famous painting in the world from the Louvre. Someone walked into the Salon Carré, lifted it off the wall and went out with it! The painting was stolen Monday morning, but interestingly it wasn't until Tuesday at noon that they first realized it was gone." It was called the art theft of the century..
For two years her whereabouts would remain unknown. Then, in November of 1913, with all other leads long since exhausted, a letter arrives at the office of a Florentine antique dealer that would change everything... The Mona Lisa was eventually found very near the spot where she had been conceived four centuries earlier... having been hidden for two years in the humble apartments of her kidnapper only blocks from the Louvre. 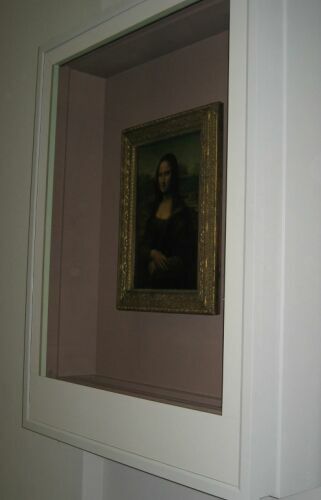 She rests again now in the Louvre, under considerably more rigorous security (behind locked frame)– where millions visit her each year. As you can see in the 1st picture, we could no get close to the picture, there are just too many visitors. 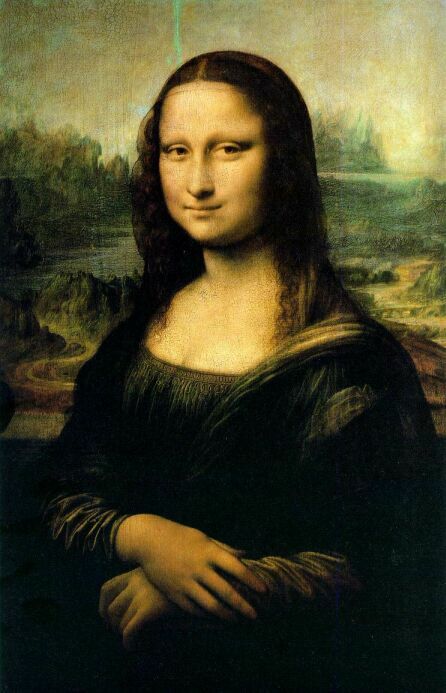 Somebody famous has said that "the woman is not particularly beautiful, and there is not a lot of color, there is not that much to see, yet this painting is the most famous in the world".